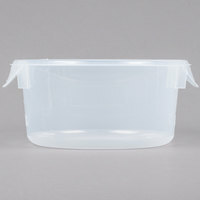 Safely store your products with this Cambro 2SFSPP190 CamSquare 2 qt. 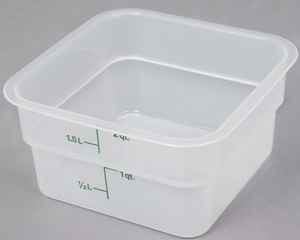 food storage container! 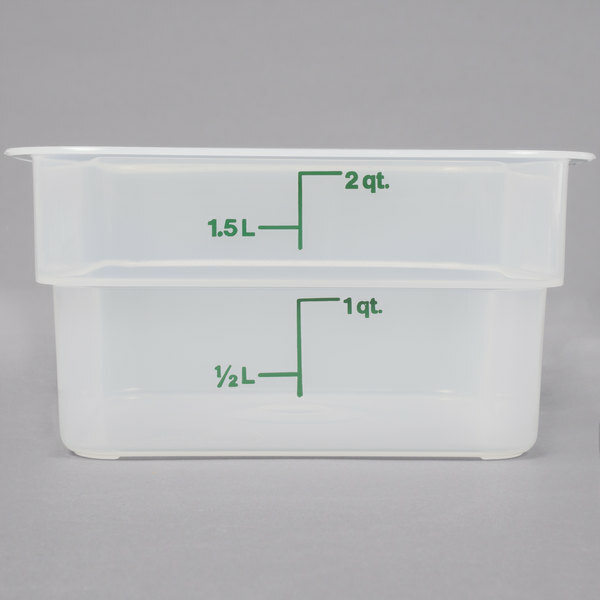 This container is perfect for portioning and storing your ingredients, toppings, and pre-prepared foods. The translucent design lets you quickly recognize contents and minimize unnecessary openings. 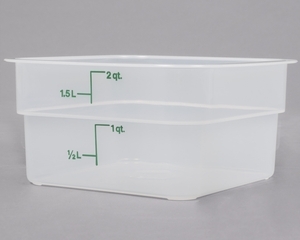 Pair it with a compatible lid (sold separately) to keep your foods fresh. 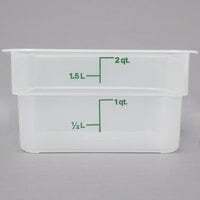 This versatile container has a 2 qt. 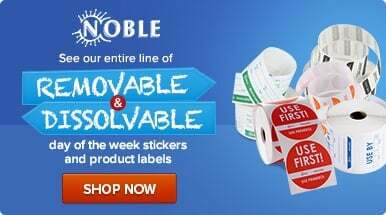 capacity, so the possibilities are endless! "Great containers for small bags of specialty flour, etc. 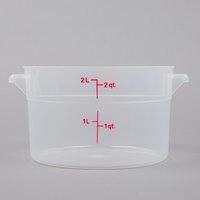 I also store cornmeal and things like that in these. It's nice they are BPA free." 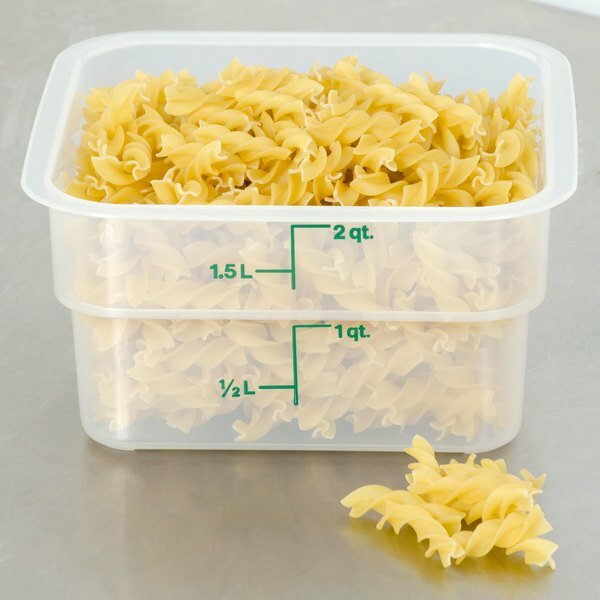 Thanks to its square shape, multiple containers can be conveniently packed onto shelves without wasting space. 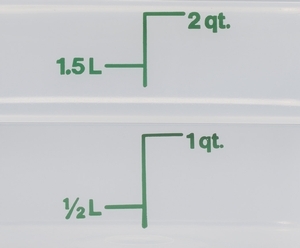 Large, easy-to-read measurement graduations listed in both quarts and liters allow you to manage your inventory at a glance. 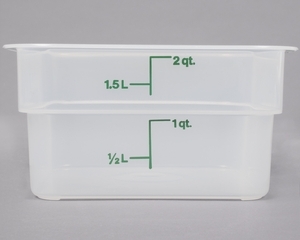 The markings have a kelly green color that stands out on the translucent container. This square container can withstand temperatures from -40 to 160 degrees Fahrenheit, ensuring its safe use in both refrigerators and freezers.